You’re walking home. You get a phone call from your father. He’s upset. Your mother has been committed to an asylum. “The symptoms started gradually,” he tells you; “anxiety and odd comments, we can all suffer from that. Then came the allegations. She claims she has proof, she talks about evidence and suspects, but it’s nonsense and lies.” Before you know it, you’re meeting your mother at the airport. She looks crumpled, distressed; she’s lost weight. She’s carrying with her a bag which she says contains “evidence that I’m not mad. Evidence of crimes being covered up.” What do you do, and who do you believe? This is the intriguing premise of Tom Rob Smith‘s new thriller, The Farm. It also actually happened, pretty much, to Smith. Like his protagonist, Daniel, he’s half-Swedish on his mother’s side, his parents retired to a farm in a remote community in Sweden, and he was disturbed one day on his way home by a call from his father telling him his mother had been committed. Like Tilde in The Farm, she also managed to discharge herself, fly to England, and attempt to convince her son that his father, Chris, was involved in criminal activity. But, fortunately — as you’ll discover four hundred breathless pages later — the resemblances don’t go much further. Smith is one of three children, while part of what gives The Farm its edge as a thriller is that Daniel has no one to bounce off, no one whose judgment he can trust. He has a boyfriend, but Mark’s existence has thus far been concealed from Daniel’s parents. This secrecy about his sexuality balances neatly the revelation that his parents’ move to Sweden wasn’t driven by an idyllic vision but by sudden, disastrous financial problems in the wake of the 2008 housing crunch; not so with Smith’s parents. And while Smith’s mother recovered following her psychotic episode, Tilde’s revelations ignite a fuse that leads to the heart of an explosive and unresolved family trauma. Smith’s skilful refashioning of his own experience reveals deeply humane concerns. “Let me quickly remind you,” Tilde tells Daniel early in the novel, “that the allegation of being mentally incapable is a tried and tested method of silencing women dating back hundreds of years, a weapon to discredit us when we fought against abuses and stood up to authority.” Tilde is strong; she refuses to be a victim of such gaslighting. And there’s no denying that her antagonists — including Chris, a doctor, a detective, and their sinister neighbour, Håkan — are all male. None of them believes her, and some even seem actively intent on denying the facts of what’s going on. Also, without tossing out too many spoilers, the rural community Tilde and Chris have moved to proves to be governed by exactly the sort of patriarchal code of secrecy that, through world history, has permitted the grossest abuses against women. Haunting Tilde’s narrative are those of Freja, a young women drowned in mysterious circumstances in the summer of 1963, and Mia, Håkan’s adopted daughter, who in Tilde’s telling is missing, presumed dead. 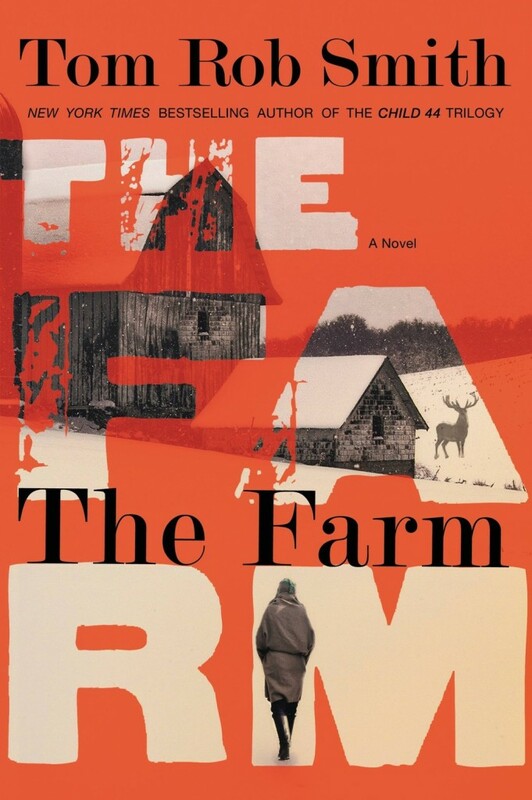 The Farm is a fabulously executed exercise in narrative tension and atmosphere. Tilde’s rhetoric sets us up for the slowburn of revelation early on: “If I outline in brief you’ll be overwhelmed. A summary won’t do. You’ll hear words like ‘murder’ and ‘conspiracy’ and you won’t accept them.” (All sort of like the gun glimpsed in the first act of a Chekhov play.) And her conclusions do indeed accrue plausibility, however delicate, through her methodical storytelling. The reader is kept in delicious limbo: while her account certainly doesn’t read unimpeachably, the devil’s in the construction, and we are left in little doubt that something‘s up. On the cusp of the forest I paused briefly, standing before the landscape featured in my mum’s book of trolls — timeless and mythic. The sky was a dull white and an icy mist hung about the trees. In places, the river split around boulders and the ice took on strange shapes, swirls and splashes frozen midflow. The snow was crisscrossed with animal tracks, some of which were wide strides, creatures as large as elks. It’s easy to see how such a place might cast a powerful spell on a Londoner of fifty years. “You can always tell from a person’s eyes whether they’ve been talking about you,” Tilde observes at one point. This is something we can all relate to, part of universal paranoia — which The Farm plays on brilliantly. And Daniel finds much to be paranoid about. Isolated at one corner of a family triangle that he describes as “like a fragment of a constellation, three bright stars close together with a lot of empty space around us,” he’s forced into the terrifying position of having to work out which of his parents he should fear most. Worse still, as he worries at the secrets of their life in Sweden, and his mother’s mysterious childhood, he uncovers even greater and more terrible depths to the story. 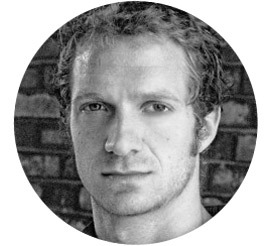 Tom Rob Smith will appear at our next Seriously Entertaining show, One Simple Rule, on April 21 at City Winery NYC. Buy your tickets here.